Draft: 2010, Washington Nationals, 12th rd. Has 2 kids: Asher and Leighton...Met his wife, Taylor, in 2012…she was a singer in Nashville and they had a mutual friend that invited them out to celebrate their birthdays…proposed in front of a wishing well after tossing a penny into the well and, when she asked what he wished for, he proposed. Went 6-2 with a 3.93 ERA, .216 opponent average and 165 strikeouts in 24 starts during his fourth season with the D-backs...Became the only pitcher in Major League history to record 165+ strikeouts in fewer than 125.0 IP in a season (123.2 IP)…prior to Ray, the fewest innings needed for 165+ strikeouts was 135.2 IP by Rich Hill/LAD in 2017...Posted 12.01 strikeouts per 9.0 IP, the second-best rate in the NL and fifth best in the Majors, behind only Chris Sale/BOS (13.50), Gerrit Cole/HOU (12.40), Max Scherzer/WSH (12.24) and Justin Verlander/HOU (12.20) [min. 100.0 IP]...Limited left-handed hitters to a .124 average (13-for-105), the second-lowest mark in the Majors behind only Josh Hader/MIL (.090) [min. 100 BF]...On 10-day disabled list from April 30-June 27 with a strained left oblique. Established a career high in wins and ERA, going 15-5 with a 2.89 ERA in 28 starts...matched his career high with 218 strikeouts (also: 2016)...Named to his first NL All-Star Team (did not pitch)...Had 200+ strikeouts for the second straight season (12th in club history) and the third time a by pair of D-backs teammates (Zack Greinke): also Randy Johnson and Curt Schilling in 2001-02...Ranked among NL leaders in strikeouts per 9.0 IP (1st, 12.11), opponent average (2nd, .199), hits per 9.0 innings (2nd, 6.44), strikeouts (3rd), opponent slugging pct. (4th, .356), ERA (4th), opponent OPS (5th, .646) and baserunners per 9.0 IP (6th, 10.67)...His strikeout rate (32.8) was fourth best in the Majors behind Chris Sale (36.2), Max Scherzer (34.4) and Corey Kluber (34.1). POSTSEASON: Posted a 6.75 ERA with 9 strikeouts and 4 walks in 2 postseason appearances...threw 2.1 innings in relief in the Wild Card Game vs. Rockies. Set career highs in wins (8), starts (32), innings (174.1) and strikeouts (218) in his second season with the D-backs, going 8-15 with a 4.90 ERA (95 ER in 174.1 IP)...Was the fourth pitcher in team history (10th time) to reach the 200 strikeout plateau: Randy Johnson (5x, 1999-'02, '04), Dan Haren (2x, 2008-'09) and Curt Schilling (2x, 2001-'02)...Ranked among the NL leaders in strikeouts per 9.0 IP (2nd, 11.25), strikeouts-per-batter faced (4th, .281), strikeouts (T-4th) and swing-and-miss rate (5th, 26.8 pct. )...Is 1 of 2 pitchers all-time to record 218+ strikeouts in less than 175.0 innings in a single season, joining Kerry Wood in 1998 (233 K in 166.2 IP)...Was the 15th left-handed NL pitcher to record 200+ strikeouts in their age-24 season or younger, and the fi rst since Madison Bumgarner in 2014 (219)…since 1913, he was the fastest lefthanded pitcher in his age-24 or younger season to reach the 200-strikeout mark in a single season (159.1), surpassing the previous mark held by Indians' Sam McDowell in 1965 (161.1 IP) [source: STATS LLC]...His 11.25 strikeouts per 9.0 IP was the fi fth highest in team history, trailing Johnson in 2001 (13.41), 2000 (12.56), 1999 (12.06) and 2002 (11.56)...Logged 22 outings with 6+ strikeouts, tied for the fourthhighest total in the NL (also: Noah Syndergaard), behind Max Scherzer (31), Bumgarner (26) and Jose Fernandez (25)...Struck out 31.9 pct. of left-handed hitters (59-of-185), the thirdbest rate among NL starters (min. 150 BF)...Ranked third in the NL with 103 strikeouts after the All-Star Break (Scherzer, 120; Bumgarner, 105)...Averaged 95.29 mph on his 4-seam fastball, the second-highest average velocity in the Majors by a left-handed starter (James Paxton, 97.38)...Had 3 outings of 7.0+ shutout innings, becoming the third Dback to post 3+ starts of that nature since 2011 (Rubby De La Rosa, 3 in 2015; Ian Kennedy, 5 in 2011)...Struck out 5+ batters in 21 straight starts from April 14-Aug. 2, the fi fth-longest streak in team history, and the longest since Randy Johnson went 25 games from June 5, 2002-April 5, 2003...Recorded 10 strikeouts in 5.0 innings on July 23 @ Reds, the second pitcher in team history to strike out 10+ batters in 5.0-or-fewer innings (Max Scherzer, 11 K in 5.0 IP on Sept. 7, 2008 @ Dodgers)...Struck out 10+ batters in back-to-back starts on July 23 @ Reds (10) and July 28 @ Brewers (11), the fi rst D-back to do so since Patrick Corbin from July 7-12, 2013...Named the NL Player of the Week for the week of Aug. 15-21… was 2-0 with a 1.50 ERA (2 ER in 12.0 IP) with 18 strikeouts, including a career-high 13 strikeouts on Aug. 19 @ Padres...Recorded his 200th strikeout on Sept. 13 vs. Rockies (Jorge De La Rosa)...Hit .189 (10-for-53), up from .097 in 2015…ranked seventh among NL pitchers with a .283 slugging pct...Recorded his fi rst homer on June 6 vs. Rays, the fi rst D-backs pitcher to hit a home run since Wade Miley on April 22, 2013 @ Giants and the fi rst to do so @ Chase Field since Daniel Hudson on July 17, 2011 vs. Dodgers. Went 5-12 with a 3.52 ERA (50 ER in 127.2 IP) and 119 strikeouts in 23 starts in his first season with the D-backs...His 3.52 ERA was fourth best by a D-backs rookie starting pitcher (min. 20 GS), behind Brandon Webb (2.84 in 2003), Wade Miley (3.33 in 2012) and Josh Collmenter (3.38 in 2011)...Ranked among NL rookie leaders in ERA (second), starts (fourth), IP (fourth), strikeouts (fourth) opponent average (fifth, .255)... Suffered six losses when allowing three runs or fewer, tied for fifth most in the NL (also: Max Scherzer, Alex Wood and Jeremy Hellickson)...Owned a 2.49 ERA (20 ER in 72.1 IP) in 12 road starts...four of his five wins came on the road...Surrendered just nine home runs and his 0.63 home runs per 9.0 IP would rank as the ninth best in the NL if he qualified...yielded two homers to left-handers (141 PA)...His 3.52 ERA was the fourth lowest by a D-back with 12+ losses in team history...Recalled from Triple-A Reno as the 26th Man on May 6-2 @ Rockies and won his D-backs debut (1 ER in 6.0 IP)...His 1.08 ERA was the lowest by a pitcher in his first four starts as a D-back... Began the season with Reno and was 2-3 with a 3.67 ERA (17 ER in 41.2 IP) and 57 strikeouts in nine starts. Appeared in nine games (six starts) during first Major League season with the Tigers and went 1-4 with a 8.16 ERA (26 ER in 28.2 IP)... Allowed one run over his first three Major League games (two starts) (13.0 IP)... Recorded the win during in his Major League debut on May 6 vs. Astros (1 ER in 5.1 IP)... Went 7-6 with a 4.22 ERA (47 ER in 100.1 IP) and 75 strikeouts in 20 games (19 starts) for Triple-A Toledo... Owned a 1.53 ERA (5 ER in 29.1 IP) in six appearances (five starts) prior to his May 6 promotion to Detroit…his 1.53 ERA ranked fifth among Triple-A starters over that time... Went 1-1 with a 2.45 ERA (3 ER in 11.0 IP) and 13 strikeouts in four starts with Glendale in the Arizona Fall League... Traded to D-backs with INF Domingo Leyba in exchange for INF Didi Gregorius on Dec. 5... Entered the season ranked by Baseball America as the Tigers' No. 4 Prospect. Double A Harrisburg in the Washington Nationals organization...Tied for first in the Carolina League with three complete games...Compiled a 2-1 record and a 1.55 ERA (29.0IP/5ER) and 34 strikeouts in five starts during April...Had his contract transferred to Harrisburg on July 5...Fired a three-hit, nine-inning shutout on July 11 at Erie -- fanned a season-high 11 batters that same day...Posted a 5-2 record and a 3.72 ERA (58.0IP/24ER) and 60 strikeouts in 11 starts with Harrisburg...Rated as the fifth-best prospect in the Washington Nationals system following the season by Baseball America. Spent the entire 2012 season with Single A Potomac...Topped the Carolina League with 77 earned runs allowed, while he was second with 12 losses on the season...Sidelined April 6-May 3 with left biceps tendonitis...Tossed a season-best 8.0 innings and struck out a season-high nine batters on June 9 versus Lynchburg. Completed his first full season of professional baseball in 2011, appearing in 20 games with Single A Hagerstown...Named the South Atlantic League Player of the Week for the week ending May 16 -- did not allow a run while striking out 13 over 11.0 innings during the week...Posted a 2-0 record and a 0.38 ERA (24.0IP/1ER) and 21 strikeouts in 5 games started during May...Fanned a season-best nine batters on June 6 versus Greensboro...Compiled a 1.73 ERA (26.0IP/5ER) and 33 strikeouts in six games during July...Selected by the Nationals in the 12th round of the June 2010 draft and appeared in one. Selected by the Nationals in the 12th round of the June 2010 draft and appeared in one game with Single A Vermont. June 27, 2018 Arizona Diamondbacks activated LHP Robbie Ray from the 10-day injured list. June 19, 2018 Arizona Diamondbacks sent LHP Robbie Ray on a rehab assignment to Reno Aces. June 14, 2018 Arizona Diamondbacks sent LHP Robbie Ray on a rehab assignment to Visalia Rawhide. April 30, 2018 Arizona Diamondbacks placed LHP Robbie Ray on the 10-day disabled list. Strained right oblique. August 24, 2017 Arizona Diamondbacks activated LHP Robbie Ray from the 10-day disabled list. August 17, 2017 Arizona Diamondbacks sent LHP Robbie Ray on a rehab assignment to Visalia Rawhide. August 7, 2017 Arizona Diamondbacks placed LHP Robbie Ray on the 10-day disabled list. Concussion. July 29, 2017 Arizona Diamondbacks placed LHP Robbie Ray on the 7-day disabled list. Concussion. June 4, 2015 Arizona Diamondbacks recalled LHP Robbie Ray from Reno Aces. May 7, 2015 Arizona Diamondbacks optioned LHP Robbie Ray to Reno Aces. May 6, 2015 Arizona Diamondbacks recalled Robbie Ray from Reno Aces. April 5, 2015 Arizona Diamondbacks optioned LHP Robbie Ray to Reno Aces. October 31, 2014 Glendale Desert Dogs reassigned LHP Robbie Ray to the minor leagues. October 13, 2014 Detroit Tigers activated LHP Robbie Ray. October 2, 2014 Detroit Tigers reassigned LHP Robbie Ray to the minor leagues. September 10, 2014 LHP Robbie Ray assigned to Glendale Desert Dogs. September 2, 2014 Detroit Tigers recalled LHP Robbie Ray from Toledo Mud Hens. August 23, 2014 Detroit Tigers optioned Robbie Ray to Toledo Mud Hens. August 12, 2014 Detroit Tigers recalled Robbie Ray from Toledo Mud Hens. June 11, 2014 Toledo Mud Hens activated LHP Robbie Ray from the 7-day disabled list. June 5, 2014 Toledo Mud Hens placed LHP Robbie Ray on the 7-day disabled list retroactive to June 2, 2014. May 23, 2014 Detroit Tigers optioned LHP Robbie Ray to Toledo Mud Hens. May 6, 2014 Detroit Tigers selected the contract of Robbie Ray from Toledo Mud Hens. March 29, 2014 LHP Robbie Ray assigned to Toledo Mud Hens from Erie SeaWolves. January 9, 2014 Detroit Tigers invited non-roster LHP Robbie Ray to spring training. December 2, 2013 Detroit Tigers traded RHP Doug Fister to Washington Nationals for LHP Ian Krol, 2B Steve Lombardozzi and LHP Robbie Ray. December 2, 2013 LHP Robbie Ray assigned to Erie SeaWolves. July 4, 2013 LHP Robbie Ray assigned to Harrisburg Senators from Potomac Nationals. May 3, 2012 Robbie Ray roster status changed by Potomac Nationals. April 4, 2012 LHP Robbie Ray assigned to Potomac Nationals from Hagerstown Suns. May 9, 2011 Robbie Ray assigned to Hagerstown Suns from Auburn Doubledays. 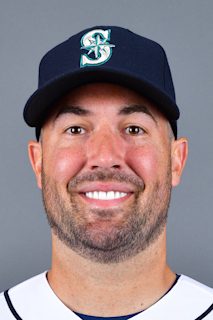 August 29, 2010 LHP Robbie Ray assigned to Vermont Lake Monsters from Washington Nationals. August 16, 2010 Washington Nationals signed Robbie Ray.